Indian Business and Professionals Council (IBPC) has announced the launch of the inaugural IBPC Business Excellence Awards 2019. There will be 12 awards in various categories for Indians, non-Indians and Qataris. 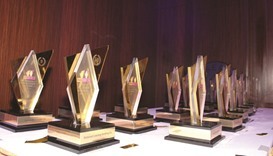 Qatar Today has announced the second edition of the Qatar Today Business Excellence Awards (QTBEA), which will be held at Marsa Malaz Kempinski, The Pearl - Doha on May 30.